Zoey is an innovative cloud-based eCommerce platform, giving developers and designers the access to robust tools to build eCommerce websites. With the evolution of eCommerce, there are several “plug-and-play”’ eCommerce options out there that might be effective initially, but will not remain practical in the long run. Our Commerce Shop team is super-excited about the partnership with Zoey. Now, our eCommerce developers no longer have to reinvent the wheel. They have access to powerful Zoey tools to build eCommerce websites that are equipped with the right marketing and design capabilities, all built on the Magento infrastructure. 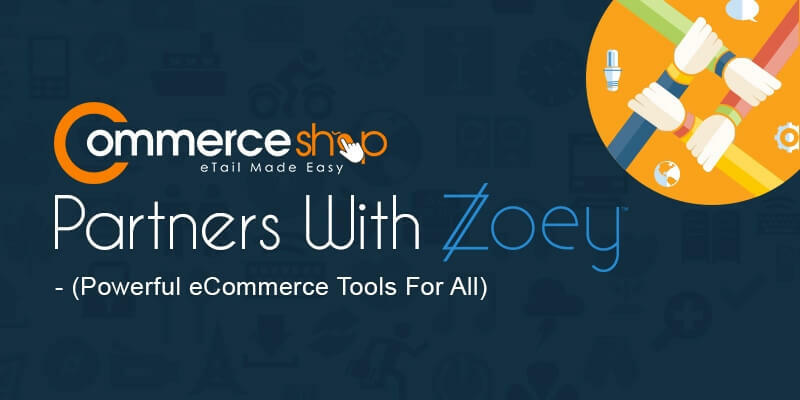 Zoey is truly a one-stop shop for all our eCommerce needs. With the support of Zoey, we’re all set to provide great services to our eCommerce clients that might not have the budget for a full Magento build. Zoey is a fantastic “first step” into the Magento infrastructure – And we’re excited to work with them.